An artist that plies his craft on an acoustic instrument spends a lifetime developing, nurturing and creating his own personal sound. We spend our years expanding our musical vocabulary to express our musical ideas. We work tirelessly to develop our technique in order to coax the best sound we can out of our instrument. And we seek the best possible instruments to respond to our musical offerings. So, when we choose to document those artistic expressions in a recording, we want something that represents those efforts in the truest possible way. 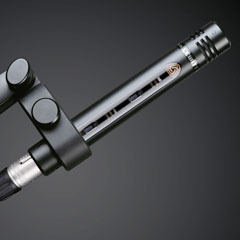 Hence my search for microphones that serve this goal, which led me to Earthworks’ DP30/C microphones. To my ear, the sound of these microphones truly represents each of the three important aspects that comprise the sound of my toms. First is the attack transient, which is the initial spike of sound when the stick hits the head and starts the vibrations going. 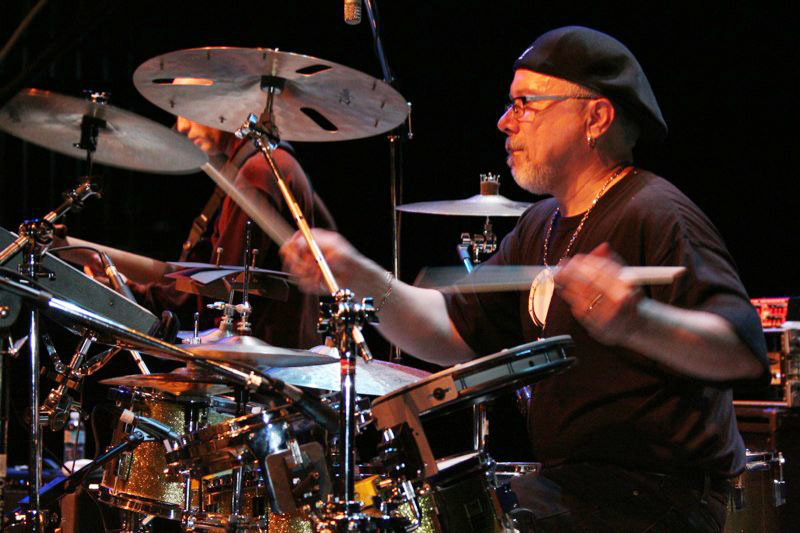 The articulation of my sticking patterns speaks well, from the softest dynamics to the loudest, crisply and clearly. Second is the fundamental pitch, or main tone, of the tom. This was typically the biggest thing I found lacking in previous microphone choices. With the DP30/C, I hear the full sound of my toms. Not that I am wine tasting here, but the phrase “full-bodied” comes to mind. The third and final area of sonic territory comprising the tom sound is the overtones. These are the higher pitched sounds that you can easily hear represented by just hitting the tom with your fingers near the edge or rim. These overtones round out the sound of the drum, but more importantly they give the sound a particular character that not only represents the specific instrument but also how and where the drummer hits the drum. 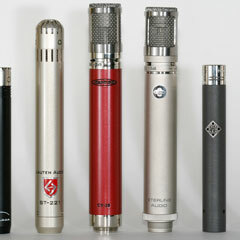 The level of nuance present in recordings made with these microphones showed no shortfall here. Not to be redundant, but the result sounds like my drums. And that is the point, right? The internal components of the DP30/C’s no doubt have a lot to do with these positive sonic results. But that is for others to evaluate, as it is way beyond my expertise. However, the external design is something I can discuss. 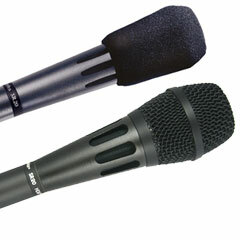 And I think the design serves these microphones well in three ways; ease of use, reliability and sound. The RM1 rim mount clamps easily and securely onto the drum rim via a thumbscrew. 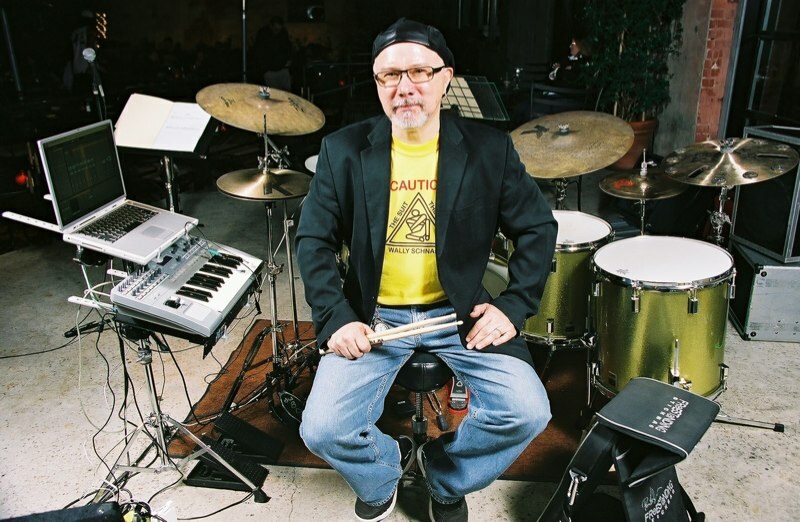 I have had to use some drum mounts that need a drum key to tighten them, and though I am a drummer and always have a drum key with me, I usually don’t want to have to go get it unless I am tuning a drum. And soundmen don’t usually have them anyway. The round body of the microphone clamps easily and securely in the mount, and allows easy access the XLR jack located at the bottom. The RM1 also has the ability to clamp on the drum at a couple of different angles — a nice feature, but one I almost found irrelevant due to the maneuverability of the microphone’s long, sturdy gooseneck. That long gooseneck for me was also one of the factors that helped me get the sound I was looking for. 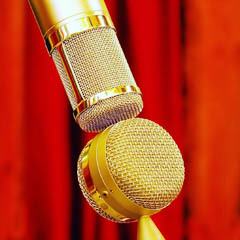 Some microphone and clip designs position the microphone very close to the rim. The result is often more overtones and less fundamental pitch, a mix that rarely sounds correct to me. When you are in the room with a drum, your ear hears it all. Therefore, putting a little “air” between the microphone’s element and the drum allows for a truer representation of the drum as my “drummer’s ear” hears it. The long gooseneck and variable vertical positioning of the microphone in the mount allowed me to find the sweet spot with very little fuss. Also of note is the microphone’s vertical mounting position in the RM1 taking up a small footprint on the drum. 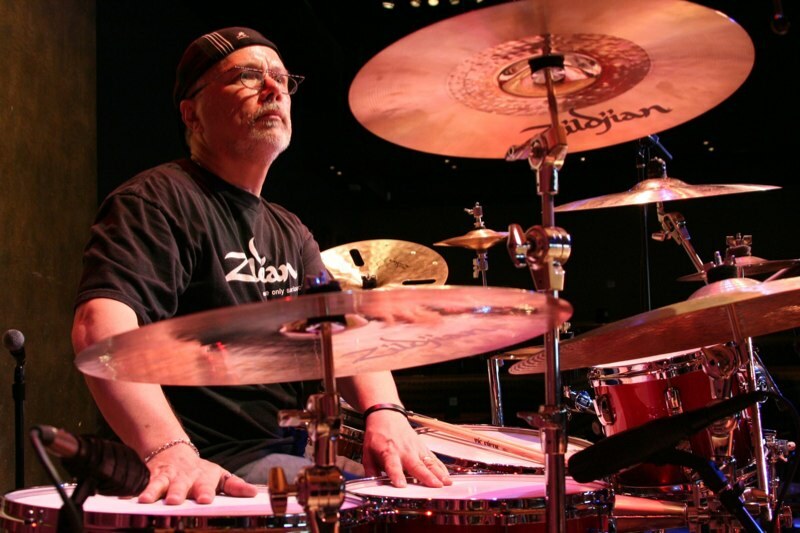 This is sometimes an issue given cymbal proximity, the configuration of some tom mounts and other things clamped to drums like cowbells and such. The Earthworks DP30/C is yet another tool in my arsenal of equipment to help me to get the truest representation of the music in my head to the audience. 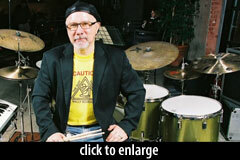 Wally Schnalle is a drummer, composer, bandleader, recording artist, educator, and writer. Find his column in DRUM! 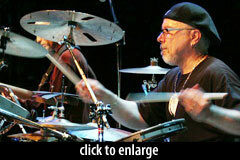 Magazine, and his discography and touring schedule at ItRhymes.com. 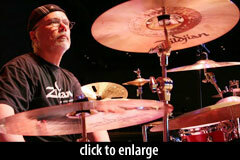 He is endorsed by Pearl Drums, Zildjian Cymbals, Earthworks Microphones, and Vic Firth sticks. 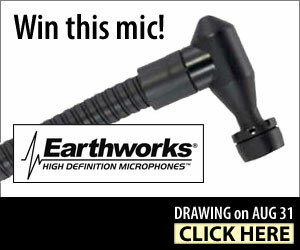 Thanks to Earthworks’ generous support, we are giving away a DP30/C in August, 2012, to one lucky subscriber of our “MIC NEWS” newsletter. Click the image at right to sign up. You’re guaranteed to win 2 emails per month, full of — you could have predicted this — mic news, plus snarky commentary from me. And you might win a sweet microphone too. Next, check out Wally killing it in the video below. Love that opening groove on the popcorn snare! That’s exactly my experience with the Beyerdynamic Opus 87 mics. Also we are seeing application of the DP30 as a Boom microphone for use in capturing Dialog in films. Mark LaBlanc, the primary audio mixer on the Sundance film festival’s award winning “Beasts of the Southern Wild” said “The DP30 was used in 80% of the interior dialogs in the film” He went further and stated to Earthworks that “it was the most natural sounding microphone he had ever heard ” including in his comparison industry icon’s such as Schoeps and Sennheiser.